Just south of Lawson, in the pastoral countryside, a huge factory, built more than 150 years ago, made pants and sweaters. The factory may have sold pants and sweaters to Harry Truman, who sold pants and sweaters when he was a haberdasher. 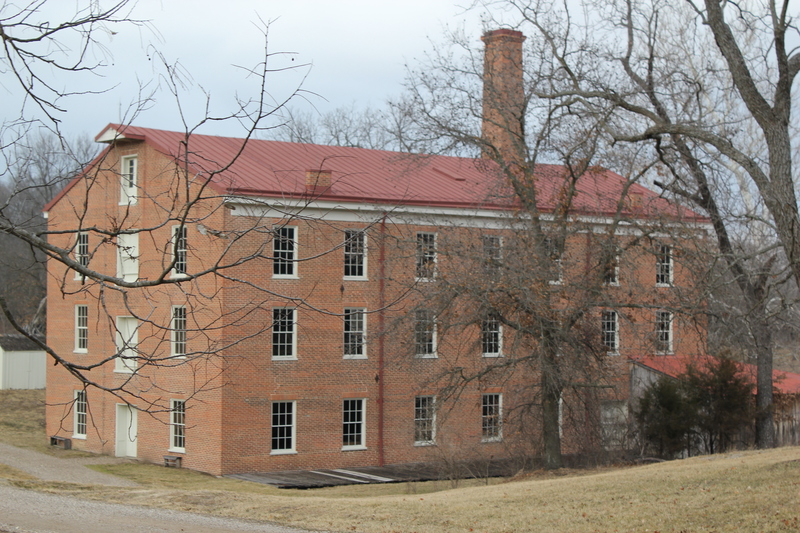 Of the nearly 900 textile mills in the Midwest during and after the Civil War, only Watkins Woolen Mill survives intact, sheltered in a giant brick building taller than the trees surrounding it. It’s an unusual sight: Factories normally spring up in an urban scene, colored with soot. This mill is bathed in fresh air and undeterred sunshine, no city in sight, and more trees than people. The builder acted on one basic tenet: pioneers need pants. The mill’s power comes from a steam engine salvaged from an old steamboat. 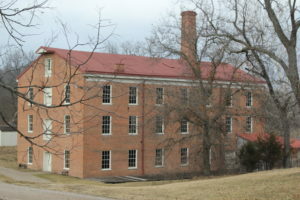 Walthus Watkins built the mill in 1860 near his home. He spared no expense, adding worker comforts including a six-stall privy a few yards away, with the women’s stalls closest to the factory. A community built up around the mill to house the workers but dissolved back into rural bliss when the mill stopped producing sweaters. 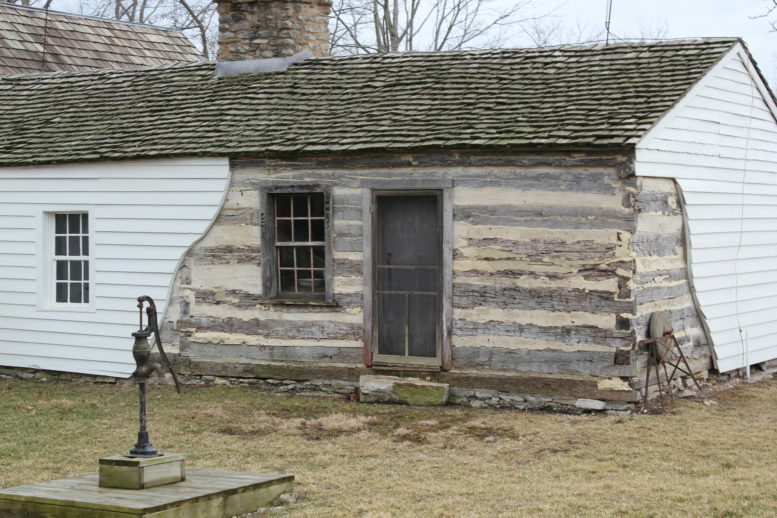 The mill is not far from the old James homestead, where Zerelda James raised her ornery younguns. I assume she got a good deal on pants and sweaters. Imagine the scene: Zerelda picks out a couple of outfits for the boys, a dress for Susan, and brings her shopping home. “Hooey, Jesse, you look dandy!” Frank hooted. Jesse called everybody dingus. He coined the word. Nobody—excepting Frank—ever called Jesse dingus to his face. As we left the mill, I saw a canine kin to Jesse James—a coyote—cross the highway.